ABT offers individual tickets to your favorite shows. Bring your family and friends to the theatre during your vacation or your winter retreat to the Valley of the Sun. Review the Season 14 lineup HERE and the Season 15 lineup HERE. Call the Box Office today and reserve your seats! Wanting the full dining and theatrical experience? Dinner and show tickets include your choice from our delicious, show-inspired menu, served at your table prior to the show. Ticket pricing varies depending on date and time of performance. Please call the ABT Box office at 623.776.8400, ext. 0, for show specific pricing. Show-only tickets may be reserved and are based upon availability. A two item minimum purchase is required (two drinks, desserts, etc.). Tickets will be held at Will Call and must be picked up the day of the performance. Arrival time is 45 minutes prior to the scheduled show time (2:00 PM for matinee performances, 7:30 PM for evening performances). Please call the Box Office at 623.776.8400, ext. 0, for show specific pricing. Ticket pricing is based on date, time, and availability of the current show. Contact the ABT Box Office at 623.776.8400, ext. 0, for details. *Please note: there is a $7 per ticket facility fee on all tickets. ** Please note: there is an additional $10 per order convenience fee for tickets purchased through the website. Click HERE for information on Group discounts. Click HERE for ticket exchange policy. BECOME AN ABT SUBSCRIBER TODAY! Click HERE for the Season 14 FLEX form, or contact the Box Office today for more information! NEW SEASON 15 8 SHOW SERIES SUBSCRIPTIONS AVAILABLE APRIL 29, 2019! Want a more spur-of-the-moment option? 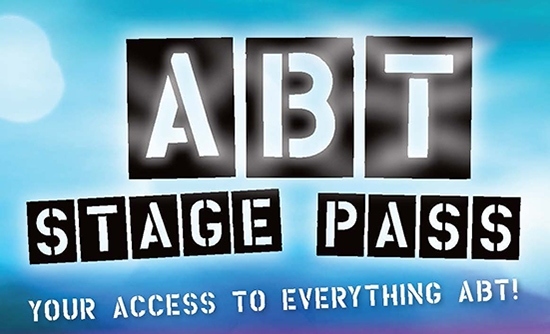 Choose the ABT Stage Pass! See what you want, when you want! A new flexible, convenient and easy way to experience ALL of ABT at an affordable low monthly fee!